Always an advice and reminder for myself that alhamdulillah we are in the nights of Eid ul Adha and for Ahlul Muhabbat, and the lovers of Sayyidina Muhammad (peace and blessings upon him), they put their entire support upon the love of Prophet sallallahu alayhi wa sallam. To know with all your heart, and all your belief, that yaa Rabbi I am going to come short in every ‘amal, in every action. And I am not going to reach Your satisfaction, as those who came before us, in the level of their piety, in the level of their sincerity, and in the level of their accomplishments. 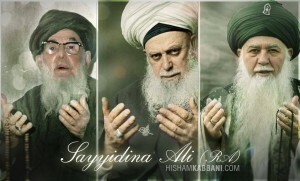 Yaa Rabbi we put our hopes on the love of Sayyidina Muhammad sallallahu alayhi wa sallam. What Allah Azza wa Jal (Mighty and Majestic) is dressing Sayyidina Muhammad sallallahu alayhi wa sallam and all the prophets, then with no doubt to know that Prophet sallallahu alayhi wa sallam is dressing us. That in this dunya, which is not even the weight of a mosquito for the Divinely Presence and anyone who loves the Divinely Presence. How much Prophet sallallahu alayhi wa sallam cared for his Nation in dunya, imagine the love that Prophet sallallahu alayhi wa sallam has for us in Akhirah? That yaa Rabbi “whatever You are granting to me, it doesn’t have its flavor if I don’t dress my Nation and I don’t give them those dressings, and especially the Ahlul Muhabbat (people of love), who are trying to be the first in line. 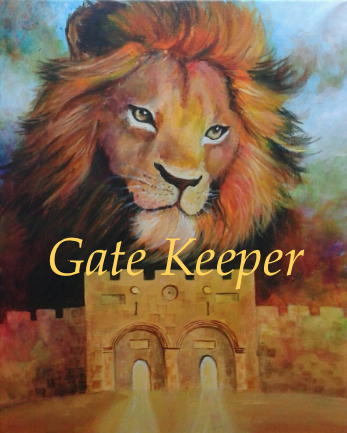 He granteth wisdom to whom He pleaseth; and he to whom wisdom is granted receiveth indeed a benefit overflowing; but none will grasp the Message but men of understanding/Men of The Door. That is why they are called Ahbaab an Nabi احباب النبي (Lovers of Prophet (saws) and Ulul al Baab أُوْلِي الألباب “people of the door” and it rhymes with the lovers. The lovers of Sayyidina Muhammad (sallallahu alayhi wa sallam), they are at the door of prophet (sallallahu alayhi wa sallam). And never anyone coming to the door of Sayyidina Muhammad sallallahu alayhi wa sallam, Ashaab an-Nabi sallallahu alayhi wa sallam, Ahl al-Bayt Nabi sallallahu alayhi wa sallam, will ever be turned away, will ever be sent away empty handed. Impossible! It is against our belief. It is against everything that the heart knows to be true, that love is something unimaginable. That with that understanding of love, yaa Rabbi we are trying so hard to show our love for You. Then they remind of the secret of the Holy Ka’bah and why you make tawaf? What is the understanding of that Ka’bah? 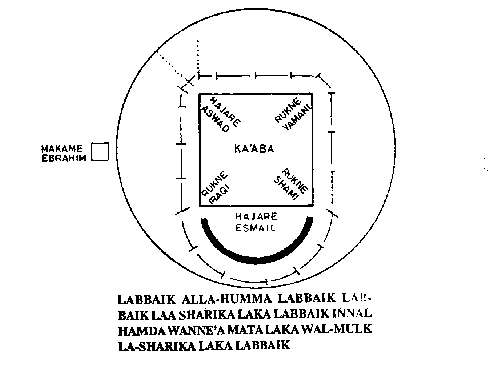 That is tajjaliyaat of the Holy House of Allah Azza wa Jal, but Allah Azza wa Jal is not located in that house. Nothing is shareek (partner), nothing is shabee, nothing is like unto Allah Azza wa Jal. Allah Azza wa Jal clarifies in Holy Qur’an that Allah is with the Nabiyyeen, Siddiqeen, Shuhada wa Saliheen and our whole life is based on that reality. Yaa Rabbi we are coming to Your Holy House. They teach us that what makes that House to be holy, that if they are wanting the Presence of Allah Azza wa Jal then the arwah (souls) of the Nabiyyeen (prophets), 124,000 Nabiyyeen, their arwah, their souls, must be present. The soul, they can take a portion of it. We described before, that malakoot (heavenly realm) is not the logic of mulk (material world). Mulk is this cup and this cup is two cups. Malakoot is this drop of water with that drop of water is still one drop of water. You can have ten drops of water or ten drops of Light, they are only one Light. Means that Light of Nabiyyeen can be wherever Allah Azza wa Jal wants them to be. 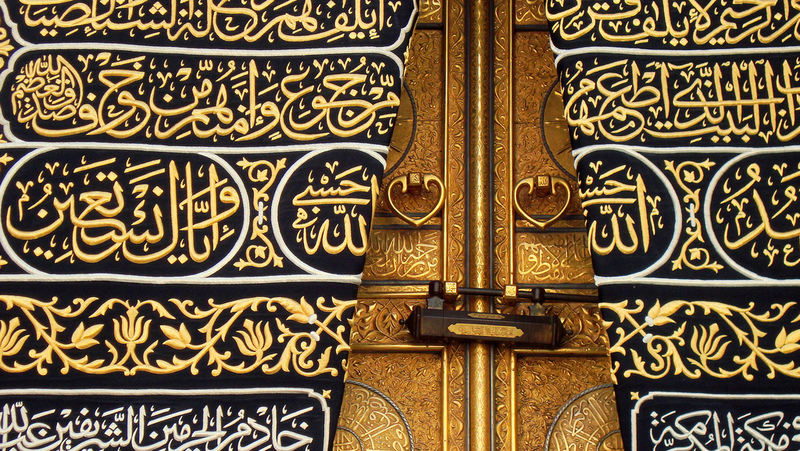 What Makes Holy Ka’bah to be Holy? But what is making the Holy Ka’bah to be holy are the 124,000 Nabiyyeen, 124,000 Siddiqeen, 124,000 Shuhada, who must be on the Earth anytime. That they [Shuhada] are inheriting from the Siddiqeen, and the Siddiqeen are inheriting from the Nabiyyeen. 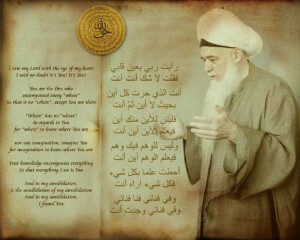 And the door for us is to be with the Saliheen. They (saliheen) are teaching us that when you are making that tawaf and you are coming to the House, that Allah Azza wa Jal sanctified and purified; it is because what is in the House is important. What are in the precincts are the Lights and the souls of 124,000 prophets, Siddiq’s, Shuhada, those who see, and the Saliheen. Means their arwah and their Lights are always emanating; and because of what Allah dressed their Lights, not the stones, not the bricks. Funny, that those people who run that area and they don’t believe in any tabarruk (blessing), why do they sell the Kiswah (cloth that covers the Ka’bah)? If you bring a tabarruk and a blessing from Madina Munawarah or from anywhere on Earth, they say, “No!” Why then are you selling the Kiswah of holy Ka’bah? Maybe it makes a lot of money. But there is a tremendous barakah. Why? Because the tajalli (manifestation) that Allah Azza wa Jal dressing upon that fabric, upon those stones, but it is not directed to them, it is directed to the souls and the Light that is within them, the arwah that are within them! That is what makes it to be holy. 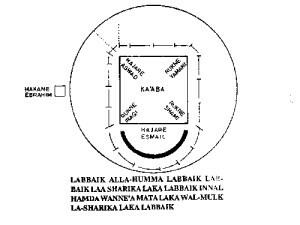 Are you Making Sajdah (Prostration) to Ka’bah? And that’s why when you come across holy people, you describe them as your Ka’bah and your Qibla. It takes tafakkur. Because anyone who is making sajda, should be very clear that they are not making sajda for the Ka’bah. Otherwise you are ‘bodt parast’, you are an idol worshiper. Means you are facing the Ka’bah, Prophet sallallahu alayhi wa sallam trusted enough that you understood, you are facing this stone house, but you better not be worshiping it. But then they come and they are rubbing themselves all over the stones. The people of ma’rifah, and the people of realities, they understood that they are bowing down to the majesty of the Light that Allah Azza wa Jal is emanating in that location. Not the stones. Not the structure that man built, but the Light that Allah Azza wa Jal is sending there. What is noble about that sanctuary that, no haram, is the location of the souls that are amination and are continuously circum ambulating within that precinct. Allah Azza wa Jal grants them that their souls never to leave, and they are in a continuous tawaf and the center of energy and the tajjali that is dressing. 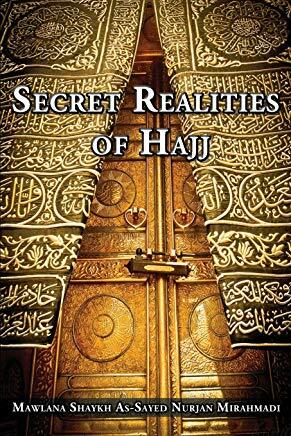 And as a result Allah made the secrets of Hajj that you have to make seven tawaf around that heart, around that Holy Ka’bah which is symbolic of the Divinely Heart. Where Allah says: If you want My Presence come and make tawaf but this presence of Mine, you will never find Me, I am a Hidden Treasure wanting to be known through the Nabiyyeen, through the Siddiqeen, through the Shuhada and the Saliheen. We said many times in our teachings, that your association must have of the Saliheen if you want to be with Allah. In any association, you look to the association and is there Saliheen amongst them? If there is a Saliheen, there must be someone from the Shuhada/ Witnesses . If they have no Ahl as-Shuhood and no Ahl al-Basira in their association they are lacking from the Saliheen. Means they cannot accomplish to be Saliheen, if they don’t have somebody who is Shuhada/ Witnesses, somebody who is not blind in the association. If somebody who is blind is leading the association, everybody will be blind in that association. What didn’t work for him or her, won’t work for five thousand other people behind them. 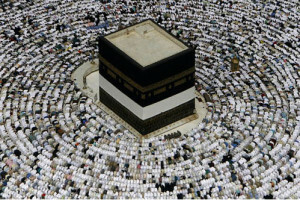 So the Ka’bah is symbolizing and teaching to us: you want to be with Me, make sure always your life is filled with Saliheen who are connected to the Shuhada/ Witnesses. And those Shuhada they are very connected to the Siddiqeen. Means they are either coming from Sayyidina Abu Bakr Siddiq or from Sayyidina ‘Ali alayhi ‘s-salaam. These are the turuqs, these are the people of the Path of Realities. And they take from the heart of the Nabiyyeen, the greatest and the imam of all the prophets, Sayyidina Muhammad sallallahu alayhi wa sallam. That is unbroken, ati ullah, ati ar-rasul wa ulul amri minkum. Those are all the ulul amr in our life. 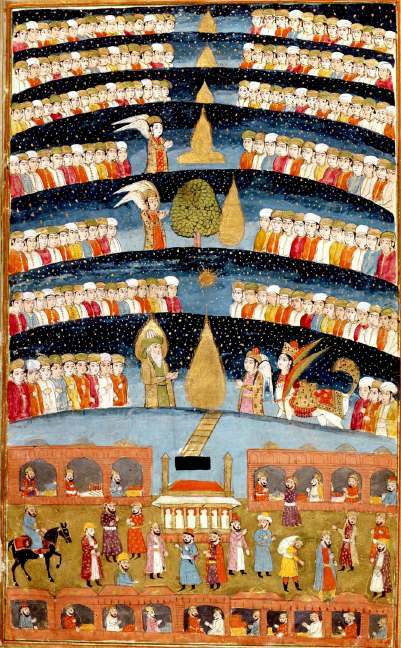 Holy Quran 67:3 [And] who created seven heavens in layers. You do not see in the creation of the Most Merciful any inconsistency. So return [your] vision [to the sky]; do you see any breaks? 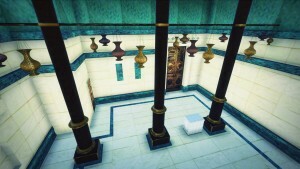 Then they describe make your seven tawaf, why you make seven tawaf? Because you have seven names in seven Paradises. As soon as you make tawaf, you must have a name in the presence of the Saliheen, and they know you by that name. You must have a name in the presence of the Shuhada. There is a name that Allah granted to you the day you become shuhood, that you will be known to them by that name. And you have a name amongst the Siddiqeen. That the day that Allah makes you to be purified and truthful, that you inherit from them and they dress you from their secret, that you have a siddiqiya name in their presence. That is why we said the tawaf around the Ka’bah is not one time tourist event, it’s a life-long event. It is the last of the Pillars because we are supposed to know all of its realities, then we make our Hajj. But, now Hajj is the concept of you do everything bad and at the end when you have saved up money for a nice vacation, you go, you don’t really know what you are doing there, and you come home. And you say, “Now I am clean and I can go into the grave.” That was not the reality that Prophet sallallahu alayhi wa sallam set for us. 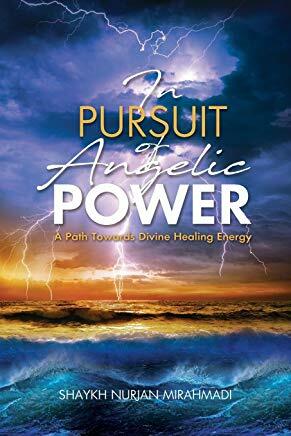 That without knowing it, you are idol worshiping, bowing down to something you don’t understand its reality, circumambulating something you don’t understand its purpose. Ahl ul-Ma`rifah come into our lives and begin to teach us, there is a tremendous symbol and that tawaf is a tawaf for all our lives. That yaa Rabbi let me always circumambulate and be in the company of the Nabiyyeen, means my life has to be filled the love of Prophet sallallahu alayhi wa sallam. Always from the teachings of the Siddiqeen, who are the great big siddiq’s that brought all the turuqs and all the ways of ma’rifah, and haqqaaiq. That all the imams took from them, whether they are the imaams from Ahl al-Bayt or imams of Ahl as-Sunnah, all of them took from those realities. And who are the great big Shuhada and Ahl al-Basira, all those ‘ulama (scholars) who wrote these volumes of books. They were not blind leading the blind. And as a result, because of their firasat, because of their hearts, what emanates through them dresses everyone in their associations; whether they be near them or far away from them, their soul reaches. As a result Allah Azza wa Jal describes in Holy Qur’an then: you are with Me and I am with you. Means we have to know our name amongst the Nabiyyeen. 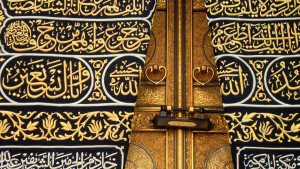 As soon as we know the name amongst the Nabiyyeen, then there must be an opening from Prophet sallallahu alayhi wa sallam for the arwah and the soul that is sincere, will be invited within the Ka’bah. That you kept the company of what Allah Azza wa Jal wanted, Allah is with you, you are with Allah (aj), and Prophet sallallahu alayhi wa sallam is facing that Holy Ka’bah. And there are two doors that open. 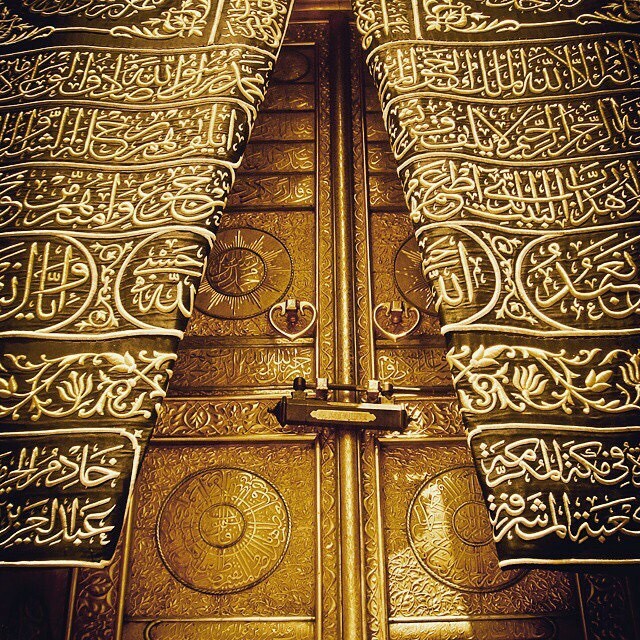 And each door has a heart on them, because these are the people of love and muhabbat. 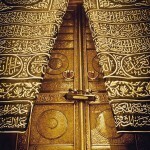 When that door opens, Allah Azza wa Jal gives permission for the name that you have in that presence, five names. You have a name in the ocean of fana 6th, which you have annihilated, and you have a name in the ocean of baqa 7th, which Allah (Azza wa Jal) raised you in His Divinely Presence. Each of these names will be a support for your life. That your name amongst the Saliheen is a continuous dress to you, that blesses you, and guides you, and lifts you. Means if you take a life-long path that I want to know myself. “Who knows himself will know his Lord”. This is what Prophet sallallahu alayhi wa sallam was describing. 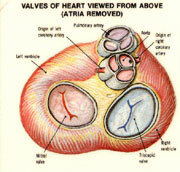 That take a path of knowing your heart, take a path to circum ambulate the outside heart, for you to learn your inside heart. If you circumambulate you will know the Saliheen, you will know your name amongst the Saliheen. You need to know that name for it to dress you and bless you. And it continuously, is like a rope from Allah Azza wa Jal, that keeps dressing you and lifting you. Your next name amongst the Shuhada inspires you from Ahl al-Basira that: don’t forget in this Paradise, in this reality, that open your heart and witness the reality. Not that read it or you hear it, but you have to taste the reality. Then the name amongst the Siddiqeen is the name that gives the character, the perfection of the struggling, to reach to what they want you to reach of the perfection of character, so that they can present you to the heavenly presence of Sayyidina Muhammad sallallahu alayhi wa sallam. 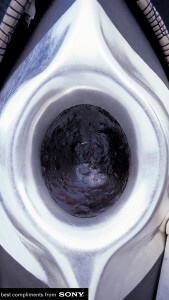 Means Hajar ul Aswad is a description and a symbol for us, that if you can reach to the name amongst the Nabiyyeen, and reach to that reality, what is the symbol is not from dunya any more. It means to kiss the black stone is as if you are kissing the right hand of Sayyidina Muhammad sallallahu alayhi wa sallam. Why does it look like a ring? It has that silver around it. That Yaa Rabbi let me to reach to You. And Allah says in Qur’an: you want Me, you can’t be shareek and think you are reaching My Presence, there is nothing like Me. But you want Me, be with the Nabiyyeen. As soon as you get to Hajar ul Aswad, yaa Rasul al-Kareem, yaa Habib al-Azheem, for God’s sake, please take me in, dress me, bless me, grant me my name amongst your presence; a noble name that we came from the oceans of the Siddiq. What is a noble name? Only with that noble name can you sit in the presence of Sayyidina Muhammad sallallahu alayhi wa sallam. That grant me that name, dress me from that name, and allow me an audience and a company in your heavenly presence. So all mashayikh have a Muhammadan name, which includes the name of Sayyidina Muhammad (saws) on that name. 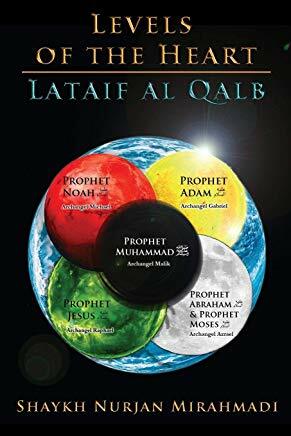 3:31 Holy Quran 3:31 Qul in kuntum tuhibbon Allaha fattabi’onee, yuhbibkumUllahu wa yaghfir lakum dhunobakum wallahu Ghaforur Raheem (Surat Al ‘Imran 3:31. And the soul enters into that presence and is given a name within that reality and their arwah carries a name. At that point Allah Azza wa Jal describes: ayatun min ayatullah, you are a sign from My Divinely Signs. 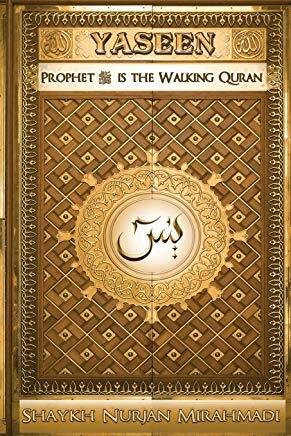 This is Qur’an. The Arabs have to understand it, not us. If they teach the reality in English. If someone knows Arabic you should go back and read more slower, more careful. That Allah Azza wa Jal describes that you become the sign of Allah’s Signs and your Light is within that Ka’bah, and they begin to call you, that you are like a Ka’bah. Not to be worshipped, because you shouldn’t be worshipping the Ka’bah either. Because they come back and say, “Are you telling people to worship people?” We say No! You shouldn’t be worshiping the Ka’bah. You worship only Allah Azza wa Jal. They become walking Ka’bahs because the Light is within them emanating from the Divinely Presence. Allah Azza wa Jal says: I am with them, that heart is from the Nabbiyyeen, Siddiqeen, Shuhada was Saliheen. qalb al mu’min baytur rabb. 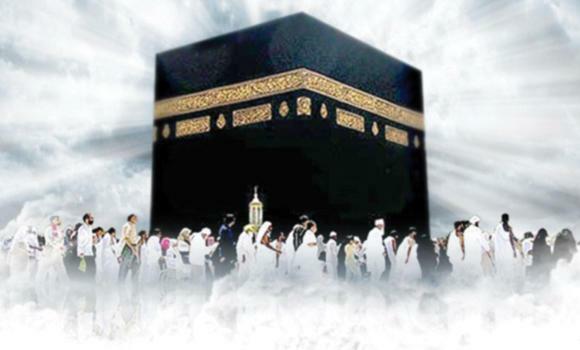 I am with that heart, that heart now wherever it walks, it is like a Ka’bah. Means it gives signs and isharats. It gives signs of Allah’s Divinely Presence and love of Sayyidina Muhammad sallallahu alayhi wa sallam. maa wasi`anee laa Samayee, wa la ardee, laakin wasi’anee qalbi ‘Abdee alMu’min. If that heart has that reality it will be dressed like a Qibla. Qibla means you find your way and your compass to the Divinely Presence, not something to be worshiped. The Qibla is something in your life, that when you look at them and look at these pious people, they remind you of Allah Azza wa Jal. They remind you of Sayyidina Muhammad sallallahu alayhi wa sallam. They reminds us of our obligations and our realities, which Allah Wants to dress us. If you have a name within that reality, then Allah Azza wa Jal grants you to go deeper. Now come into the oceans of non-existence, that even Imam ‘Ali alayhi ‘s-salaam said, “I have an annihilation within my annihilation.” It means if you got that far, they taught you how to annihilate yourself. Then again there must be another annihilation within your annihilation to enter the oceans of nothingness. You must have a name in that fana. And if Allah Azza wa Jal grants that fana and grants you to be resurrected in His Divinely Presence, that is the 11th month. To be nothing you came through Ramadan; to be ‘1’ and ‘0’, binary. They teach you to be nothing, be nothing, enter the ocean of fana, be nothing Allah Azza wa Jal is everything! Then baqa is let us raise him in our Divinely Presence and turn him ‘on’. At that time from being ‘off’ you will be ‘o’n and you will be reflection of this reality. That enters into the 12th month of the Hajj. These seven names and seven realities were meant to be the Lord over you, means that which governs you in life. Those name were supposed to govern you; your Paradise reality was supposed to governing you, and dunya came and deceived us and made Shaytan to be Lord over us. Anyone says “no” then say, “Okay you must be seeing, you must be able to walk on water.” If we had the dress that Allah intended for us, so many amazing realities. But what is lord over us is the desires and and the wants and the bad characteristics. We pray Allah dress us from the realities of tawaf dress us from the realities of Hajj. Dress us from the Light and the love of Sayyidina Muhammad sallallahu alayhi wa sallam, from Ashaab an-Nabi sallallahu alayhi wa sallam, from Ashaab an-Nabi sallallahu alayhi wa sallam and all awliyaullah from the Heavens and on Earth. Subhaana rabbika rabbil izzati `amma yasifoon wa salaamun `alal mursaleen wal-hamdulillahi rabbil `aalameen. 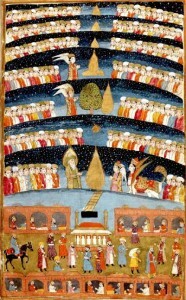 Bi sirri Muhammad al-Mustafa, bi sirri surat al-Fatiha.